I’m not one to post about the goings on in outer space – at least until Virgin Galactic launches, that is – but this story in yesterday’s Guardian has my head spinning. 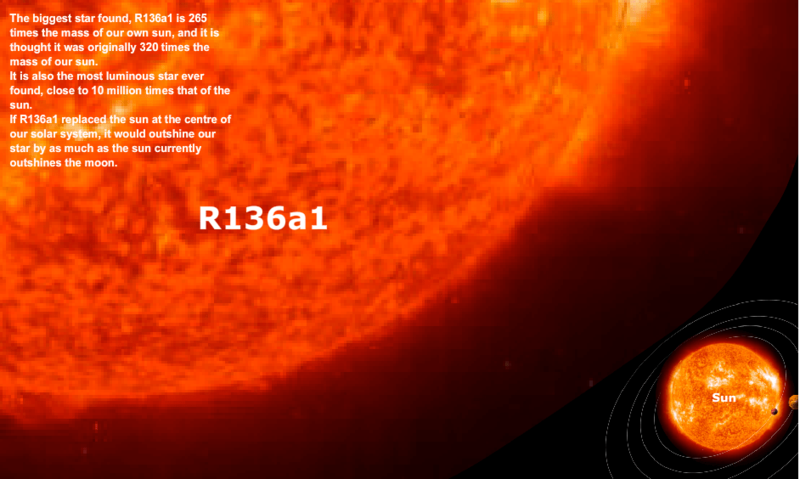 165,000 light years away in the Tarantula nebula, astronomers have discovered the imaginatively named R136a1 – the largest star ever found. To put it into perspective, it’s 265 times larger than our sun. 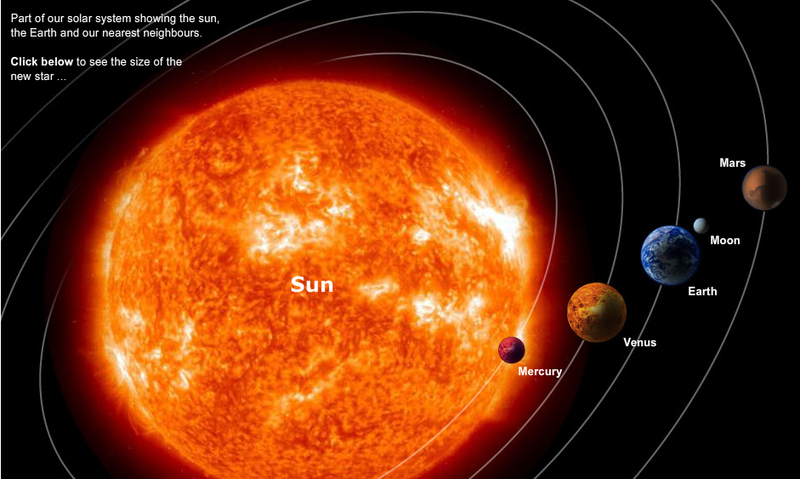 If Earth was subjected to its gravitational pull our years would last a whopping three weeks. It would also “bathe the Earth with incredibly intense ultraviolet radiation, rendering life on our planet impossible,” according to Raphael Hirschi, a researcher at Keele University in the UK. To really understand how insignificant we are in the grand scheme of things, check out these comparison graphics pulled from the paper.